D&S Security has built a reputation as the premier source of home security systems, burglar alarms, and fire alarm systems in Los Angeles, California over a period of three decades. We have seen a lot of technological advances in our industry over the years, and we have always stayed a step ahead of the curve. Clearly, L.A. is one of the most important cities in the entire world, and there are countless benefits that come along with life in the City of Angels. At the same time, there is quite a bit of crime, so security systems are very important. 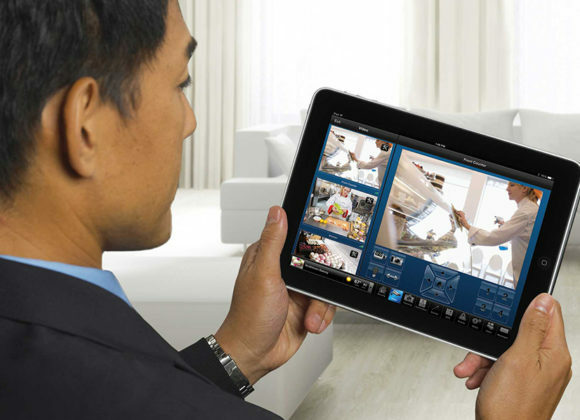 We can custom craft solutions to suit the needs of any homeowner, and we can add video surveillance cameras. If you are in Beverly Hills, Bel Air, Echo Park, Hollywood, Highland Park, Venice, Santa Monica, Westwood, or any other neighborhood, for home security systems in Los Angeles, California, D&S Security is the trusted resource. Video surveillance cameras should be deployed as well. The CCTV systems Los Angeles businesses can obtain from us give you the ability to monitor the actions of your employees and identify instances external or internal theft. Plus, the video footage can be quite useful if you are ever the target of a personal injury lawsuit or a workers compensation claim. Keeping an eye on things once people are in your facility is part of the security equation, but access control is another facet to consider. This is another area of specialization for our company, and we provide our clients with freedom of choice. We can install numeric keypad systems, proximity card readers, and high-tech, state-of-the-art biometric access control systems. A fire can be devastating if you are a business owner or decision-maker. To protect your investment, you can engage us to install a commercial fire alarm system that is custom crafted to suit your facility. We also take care of the monitoring at our UL central monitoring station. If you are ready to take action to protect your home or business, you can speak with one of our Los Angeles, California security system consultants right now if you give us a call at 800-521-1958.